Install these bulbs in an existing C7 (E12 base) cord or shop for new Christmas light cords here. Remember those wonderful Christmas mornings from childhood? Waking up to the soft glow of a beautiful tree reflecting onto shiny presents? With our white opaque C7 light bulbs, you can recreate those fond days. These painted bulbs, which come in multiples of 25 pieces, are ideal for bringing a warm, homey feeling to your holiday decorating. White bulbs alone create a stunning statement on a tree. You may also consider combining them with other colors for a Christmas tree that suits your personal style. When placed in your cord, purchased separately, they can be used in multiple ways in both indoor and outdoor applications. 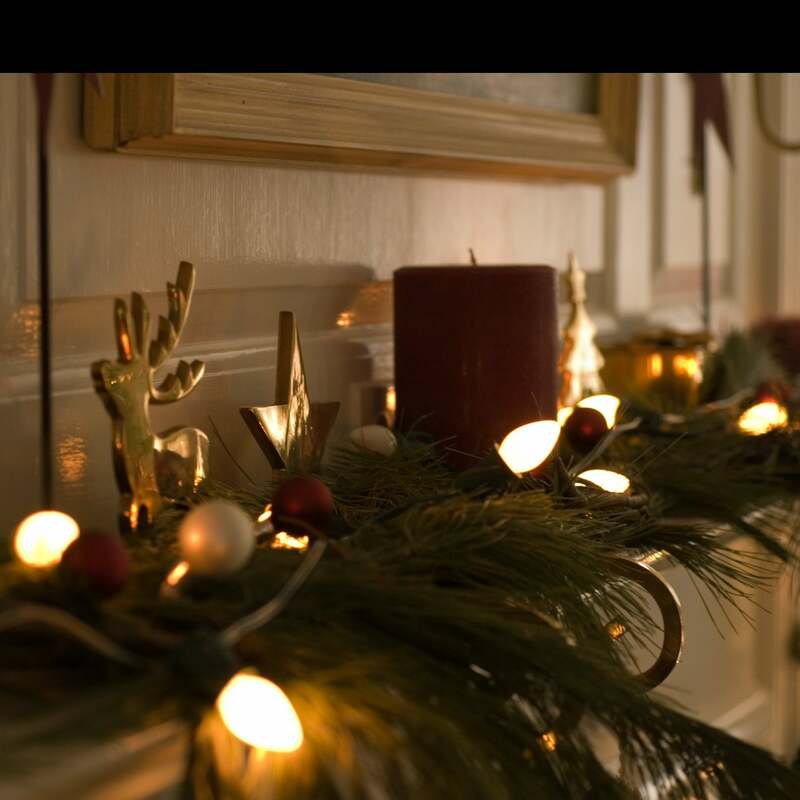 Be sure to check out our many styles of hardware to help with installing your indoor and outdoor Christmas lights. We outlined our '50s ranch house with multi-color opaque incandescent C7s. The soft, warm light has the most beautiful glow. We wanted a vintage look for our house, and these are wonderful. The colors are all as expected, with the exception of the white, which is soft and has a slight yellowish cast. Even better than expected. I ordered on short notice and they shipped them to me on time for my daughters wedding...these lights looked beautiful! We had them strung across the yard like a Christmas tree lot! Fabulous! Will by again from here!Thanks!! A: These bulbs are sold separately in boxes of 25 bulbs. 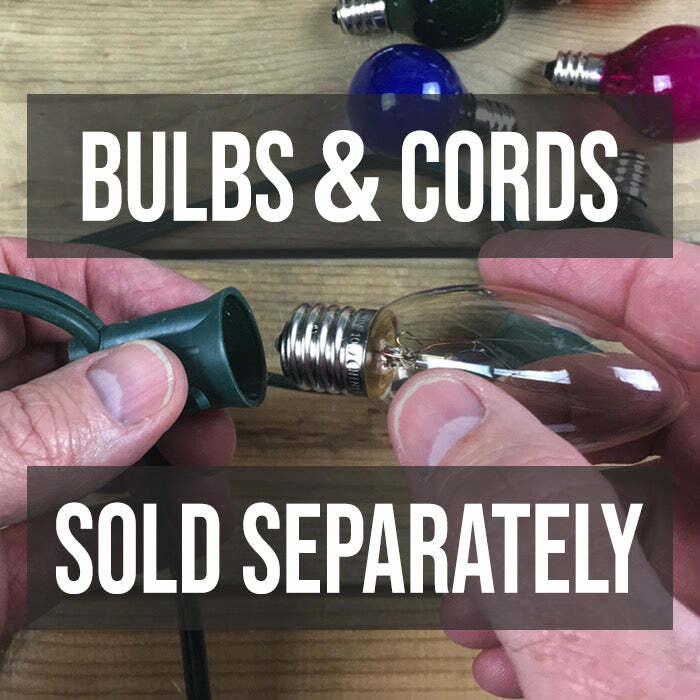 Selling the bulbs and cords individually gives you maximum flexibility. Here is where you can find the C7 cords and spools.